Dubai is a global financial and trade hub offering tons of opportunities to those who dare to dream big. Its growing economy offers fruits in all sectors, leading to a constant influx of both investors and workers who wish to rake in the benefits. It is the city’s very rise to the top of various global rankings that have made investment in key economic sectors like real estate, finance, services and hospitality a profitable venture for thousands of individuals. With some of the best rental yields in the world, it’s no surprise Dubai’s realty markets attracts investors from all corners of the world. 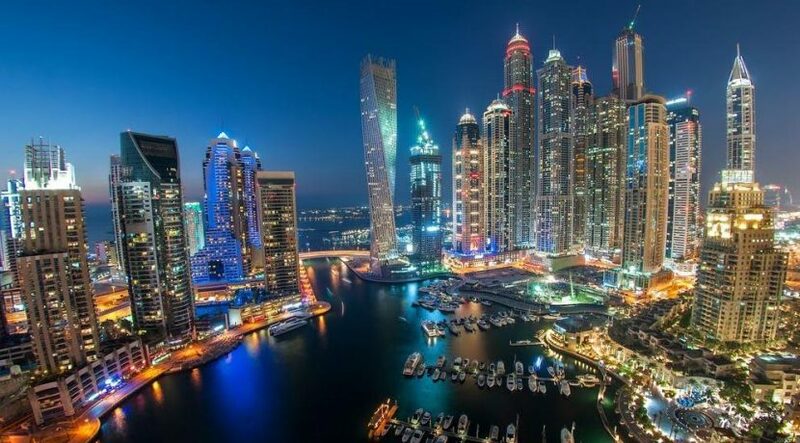 Joining the list of top investors in Dubai are Jordanians, who according to data released by Dubai Land Department (DLD), remained the third biggest Arab investors in the emirate’s realty sector. DLD statistics showed that around 1,516 Jordanians purchased properties worth Dh3.51 billion in 2015, bringing them third place among Arab investors after Saudis and Kuwaitis. The kind of perks that Dubai offers to investors are hard to pass by since every investment made in the emirate can very well turn to gold in the future. Here are some reasons why we think Jordanians are getting more interested in Dubai’s property market. Property transaction in Dubai is based on an easy-to-comprehend mechanism where finding a suitable property is as easy as it gets. Potential buyers don’t need special permits or visas to seal a deal on their favourite units. According to local property rules and regulations, Dubai has one of the best property transfer procedures in the world and the entire process reaches completion in no time, if you have the relevant documents in place. Another benefit to investing in the emirate’s realty sector is that foreign investors can easily get their hands on a residence visa by making a real estate purchase worth Dh1 million. Amidst the real estate market fluctuation, the rental value of properties in the emirate has remained consistently strong. According to UAE real estate portal Bayut.com, average studio apartment rental yield in Dubai went up to 7.6 per cent at the end of February 2016, while the overall apartment yields were recorded at 5.6 per cent. Dubai offers the best tax-free investment opportunities to residents who want to live a comfortable and luxurious life. The emirate’s infrastructure, modern medical facilities and recreational zones make it a favourite among people seeking residence or looking to set up a business here. The quality of life provided by the emirate comes with the perk of being tax-free. While investors get maximum profits on rented out property in Dubai, the benefit of having to pay no tax simply means that a person can save enough money to invest elsewhere. Dubai is located at the centre of the world business map which is easily accessible from different parts of Asia, the Middle East and even European countries. For Jordanians, the emirate is one of the closest commercial zones where they can invest their money with ease. A flight taking off from Jordan’s capital Amman will land at Dubai Airport in approximately 3 hours and 30 minutes which adds to the ease of access to Dubai for Jordanian investors who can keep a check on their investment while enjoying a hassle-free life. Dubai’s real estate sector is one of the safest commercial zones in the region. Being a secure place, crime-rate in the emirate is close to non-existent and police is efficient and fast. Businesses thrive in secure circumstances and Dubai provides just that – an investor-friendly environment coupled with stringent business laws to accommodate foreign investors. Dubai’s economy has seen a gradual shift from oil dependency towards tourism and hospitality. A large number of tourists visit the emirate each year to marvel at the many world-class entertainment and recreational facilities that the city offers. Looking at this trend, many foreign investors are now investing heavily in the emirate’s tourism industry in the hope of gaining good returns on their capital with time. The Expo 2020 is expected to attract almost 30 million visitors in the six-month duration over which the event would be held. This is good news for businessmen looking for avenues to multiply their fortunes. Development activities are already going at full pace and businesses are matching stride with the trend of fast business expansion being currently witnessed here. Potential investors could profit from this trend by starting a business in the emirate now and see it grow into a profitable undertaking when the mega event draws near. The writer is an editor and writer at Bayut.com. Views expressed are his own and do not reflect the newspaper’s policy.